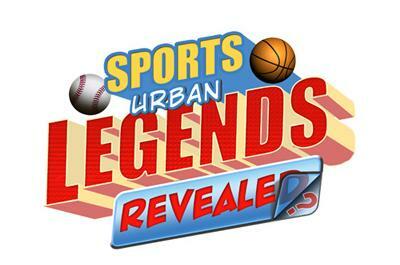 SPORTS LEGEND: A former football Rookie of the Year was involved, without his knowledge, is two separate nationwide scams. SPORTS LEGEND: A referee assessed an ungentlemanly conduct foul on a player for loud flatulence during a penalty kick. SPORTS LEGEND: Bronko Nagurski was discovered when a college football coach found him doing some mighty acts of strength while plowing a farm by the road. SPORTS LEGEND: Los Angeles Dodger Manager Tommy Lasorda has a rather…interesting response to a reporter’s question about the performance of Mets outfielder Dave Kingman. This is Baseball, Not a Spelling Bee! SPORTS LEGEND: At least two players of the Washington Nationals wore jerseys with the team name spelled incorrectly. SPORTS LEGEND: Veterans Stadium in Philadelphia had holes in the locker room of the Eagles cheerleaders where visiting players peeped through. SPORTS LEGEND: Shea Stadium congratulated the Boston Red Sox on winning the 1986 World Series before Game 6 of the 1986 World Series ended. SPORTS LEGEND: Notre Dame used a play called by a terminally ill child in an actual game. SPORTS LEGEND: The New York Rangers acquired a player in 1990 for $1.00. SPORTS LEGEND: A National Hockey League franchise never actually came up with a team name during its fifteen years of existence.